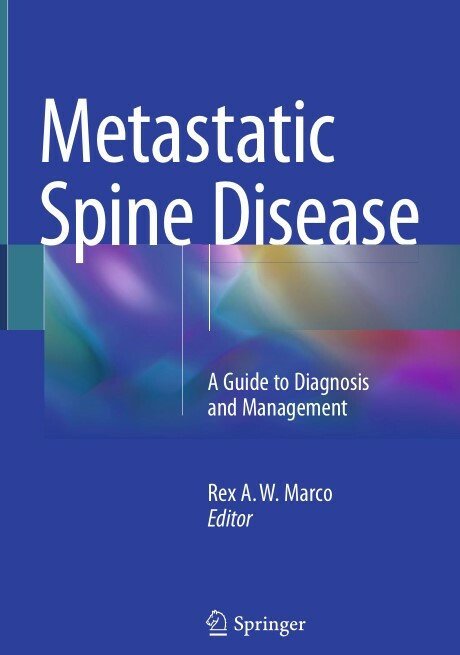 This comprehensive text focuses exclusively on the management of metastatic spinal disease, evaluating the most recent literature and providing patient-centered treatment algorithms. Beginning with initial imaging, classification and clinical decision-making, the spine is approached anatomically from the upper cervical to the sacrum, describing the unique considerations and approaches appropriate to each region, such as laminectomy and stabilization, en bloc spondylectomy and resection and reconstruction. Less invasive and minimally invasive approaches are discussed throughout the text. Radiation therapy modalities and other adjuvant treatments are also discussed, as well as reconstructive flap coverage and the management of complications. The spinal column is the most common site of metastatic cancer, and a multidisciplinary approach is required to provide patients with reasonable management options to prevent and treat the disabling symptoms caused by this debilitating condition. 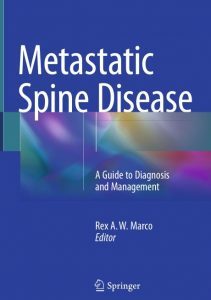 This compendium of experience from thought leaders in the treatment of metastatic spine disease will provide spine surgeons, oncologists, radiation oncologists, physiatrists and palliative care specialists with up-to-date information to guide their patients through the multidisciplinary management of metastatic spinal disease.